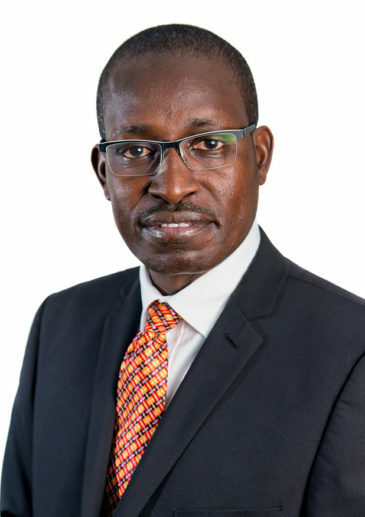 Evans Monari heads our Dispute Resolution Practice in Nairobi and is an advocate of the High Court of Kenya. Evans is an all-round litigator involved in a myriad of commercial, civil, judicial review and constitutional briefs. He also handles high profile criminal briefs. Evans represents various clients in public inquiries and inquests. He is a skilled advisor and has defended several private public bodies in multi-jurisdictional disputes. He is instructed in bespoke complex regional/ international commercial disputes and international arbitrations as well as matters involving public international law. He is also a chair of public listed companies as well as local and international charities. Evans is a stellar motivational speaker with an outstanding track record at local and international conferences. Evans has handled complex commercial, civil, judicial review and constitutional matters as well as high profile criminal briefs. He now fully engaged in International Commercial Arbitration disputes involving both government and private entities. Constitutional Law Litigation on behalf of the Kenya Anti-Corruption Commission. Representing the Kenya Police at the Waki Commission into Post Election Violence. Acting for the Government of Kenya in international arbitration proceedings that were filed at ICSID by WalAm Energy, a Canadian headquartered company that claims to have suffered damage due to revocation of an energy contract in Kenya. We are acting as co- counsel with Freshfields Bruckhaus and Deringer. Representing AVIC International in a challenge filed before the National Enviromental Tribunal seeking to halt the development of AVIC’s headquarters in Africa, which is currently Nairobi’s largest mixed use development. Dispute resolution matter between Japan Port Consultants Ltd (JPC) and the Government (Ministry of Transport) in the performance of a feasibility study on the infrastructure development for the Lamu-Southern-Sudan-Ethiopia Transport (LAPSSET) corridor development project. Lead Defense Counsel at the International Criminal Court in respect of Gen. Hussein Mohammed and later joined the Defence of Hon. Uhuru Kenyatta. Lead Defense Counsel at the International Criminal Tribunal for Rwanda engaged by the United Nations to design and mobilize the defense of indicted personalities at the tribunal. Senior State Counsel, Attorney-General Chambers specifically engaged in law reform programme at The Kenya Law Reform Commission. The specific duties were planning the methodology of research, enquiry, preparation of reports, co- undertaking of the initial drafting of bills for the Attorney-General. Successfully representing Centric Energy (Kenya) Limited, a subsidiary of Africa Oil Corporation, in various applications and judicial review proceedings aimed at interfering with the oil exploration rights of various oil companies in Kenya. Some of these applications are pending before the High Court at Kitale and the Court of Appeal. Acted for Trax International LLC in a successful international arbitration against Dyncorp International PLC involving a huge construction for the government of South Sudan. Representing a South Sudanese Company in an arbitration arising from an international construction contract made in Kenya but performed in Southern Sudan. Monitoring and Project appraisal on institutionalising participatory approaches on behalf of the Uganda Women’s League. This resulted in the reformation of the NGO funding, non-overlap of services and refocus on the core activities of the women projects. Defence Counsel at the Inquiry into the Goldenberg Affair. Advising and presenting various clients in relation to property, construction and engineering contracts arising out of the Firm’s property department. Ranked by Legal 500 in 2018 as a leading lawyer for Dispute Resolution. Chambers and Partners 2018 ranked Evans in Band 3 for Dispute Resolution. Chambers and Partners 2017 ranked Evans in Band 4 for Dispute Resolution. Legal 500 2017 recommends Evans as a leading individual for Dispute Resolution.